Big, bold and impressive describes the regal presence and magnificent allure or our newest 88" Triple Ball Spinner Stake! 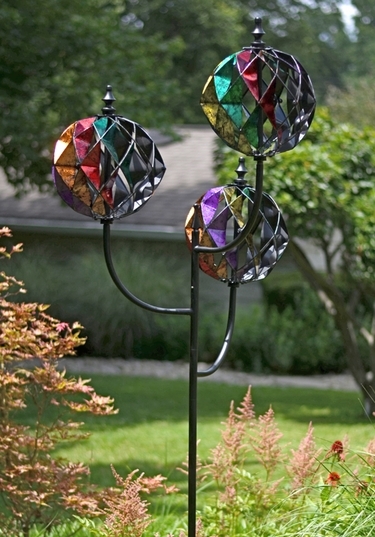 Full of color, motion, and dimensional intrigue this metal wind spinner is are move than an accent with some motion - it's a spectacular display of high class garden art! Place one in the backyard, or two on opposite sides of an entrance, this spinning sculpture is built to impress! Size: 30" x 84" Tall, all Metal.